What essential features does a Zendesk alternative need? Overcoming a strong tool isn’t easy. Alternatives must have essential features that weren’t available before. Zendesk is a powerful competitor, with lots of different functionalities that can work for any kind of specific demand. So how can something possibly be better than that? Well, by simply having less. Most smaller companies don’t need that much information and utilities. For them, an alternative such as Zendesk is just too much. They’ll probably get lost among so much information and just don’t be as effective as they could be. Another important aspect is pricing. These companies can’t afford Zendesk’s price, so simpler solutions will also come with smaller prices, which is great. Because it has lots of features, it demands a whole lot of resources — time and people — to understand Zendesk properly. Smaller companies can’t afford to have some team members to stop their work and learn a very complicated tool. In opposition to that, simpler tools — specially the ones that can be integrated to something you already have — solve the problem and demand almost nothing. 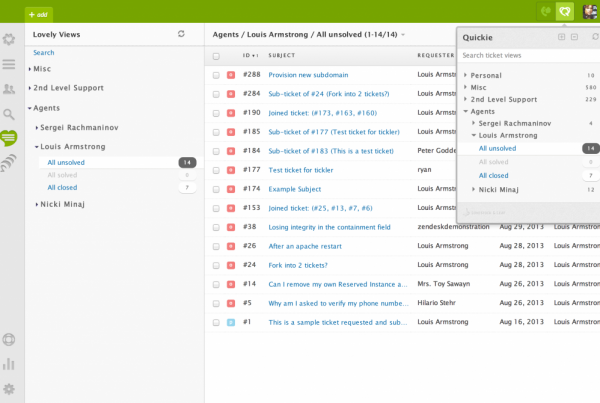 Zendesk is pretty, but the amount of information makes it hard to read instantly. An alternative should have a much smaller information density and be easy to see. Intuitiveness might be taken for granted for companies, but it’s very important to think about it when you think on the long-term. What’s easy make you stick longer. One thing you can’t live without is a collaborative environment. Whether you work with more people or not, at some point you will need to share information with a team member. Tools that provide it are many steps ahead, because they understand how much it changes when you can work together. • KPIs tracking, such as time to response or service rating. When you think about all features people want from a Helpdesk software, you probably will wonder “Is it possible to work straight from email?”. Our software doesn’t add any new logins/websites for your team. It works straight from your Gmail Inbox. By doing so, we allow your team to learn faster and have less questions about what’s new. We also centralize work, because we have Helpdesk boards inside your email. Basically we change everything, but we keep it visually the same. Drag starts for free, but if you want to unlock its full power, it’s just $9/month/user. We believe that simple solutions make everything better for both sides because they decrease the amount of new information you need to learn something new. Most features isn’t always better, so you have to really understand what works best for your company by thinking about what you really need. All of it. Right into your Gmail team inbox. Drag is freemium and has a forever-free version for small teams, including kanban boards with drag’n’drop functionality to organize enquiries. If you want extra feature, it has also paid versions starting from $3/month, that you can find here. It should definitely be on your list of Zendesk free alternatives to try. 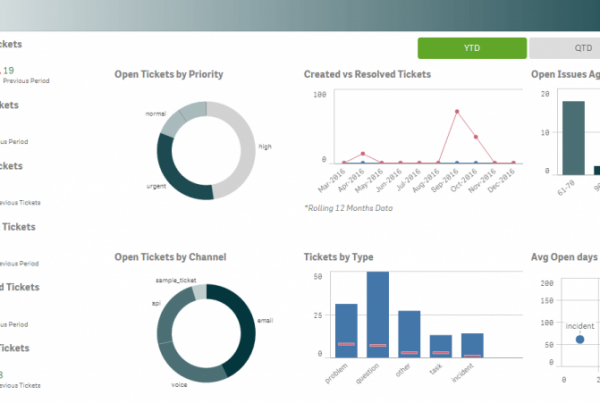 Zendesk is awesome, but do you need it all? Other softwares start from the same base and change the game in their own way. Stop and think about what your company needs and if it is that much really. After scratching off the things you can live without it becomes easier to find the right solution.